Womens O’Neill Special Edition Ski jacket M. Condition is Used. Dispatched with Royal Mail 2nd Class. Great Jacket. Loads of pockets. Really warm. Worn for one ski trip. Excellentski / snowboarding jacket, waterproof, wind proof and warm, under arm zip vents, snow skirt, lift pass pocket on left arm, thumb hole cuffs, great jacket in very good condition. O’neill ski goggles, excellent condition, only used for one skiing trip, my daughter discovered she isn’t a keen skier. These were £110 new, no scratches with comfortable padding inside. Ladies O'Neill ski/Snowboard trousers size 10. Condition is New with tags. Many zip pockets, inner leg vents. Very nice stylish trousers. From a pet and smoke free home. Boys O’Neill’s Ski Snowboard Jacket, Size 176, Age 16, excellent condition. Condition is Used. Dispatched with Royal Mail 2nd Class. Girls O’neill Ski Salopettes/ Snowboard Pants Age 8. Navy blue with coral lining. In good used condition. Dispatched with Royal Mail 2nd Class. oneill mens ski / Snowboard jacket - Medium. Condition is as new, wised for 5 days snowboarding before I replaced it. Please see other listings also. Dispatched with Royal Mail. LADIES O'NEILL BOARDBABES SKI JACKET. Zip pocket and clear pocket for ski passes. 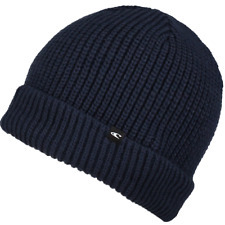 Removable, adjustable hood that can tighten around the face. Lovely and warm, great jacket, excellent condition used 1 week for past 3 years. Light grey. Oneill O’Neill Snowboarding Ski Salopettes Pants Trousers. Condition is Used. Dispatched with Royal Mail 2nd Class. Excellent quality, size 40, worn by a woman size 8/10. Childs O'Neill Ski Skateboard Trousers Age 152. Condition is Used. Smoke free pet free home Dispatched with Royal Mail 2nd Class. O’Neill Ski Jacket Men. Size shows small but I’m pictured wearing it here and I’m 6’4” Great Ski Jacket. Not used anymore - will be good for someone, lovely electric blue colour. Condition is Used. Dispatched with Royal Mail 2nd Class. O’Neill BNWT XL womens ski snowboard Pants Trousers Magenta/Purple And Blue. O’neill Ski Snowboard Goggles Brand New with Box. O’neill Ski Snowboard Goggles. Condition is New although the box is a bit battered. Dispatched with Royal Mail 2nd Class postage. Probably a size 14 - really good coat with everything to keep it close and warm when ski-ing. Detachable hood. Selling as I am having a clear out but good condition and barely used. This is a winter type jacket as it's lined with a fleece back and nylon sleeves. But has a soft sweatshirt feel to the outer side of it. It's a good quality item . Still has plenty of use left in it although a little bit faded on the cuffs and back from sun light as it's been worn . It's an extra large size. Blue outer and black fleece inside. Make is O'Neill. 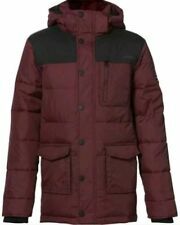 Brown/ Black O Neill Ski padded Jacket. I cant find a size in the jacket but I would it is small. Has a fleece balaclava which hold into collar. Length from shoulder 25". We will accept your price so long as it is at least £3.99 (we do have to cover our costs). We are all about keeping re-usable clothes out of landfill. Oneill Jacket Age 2-3. Condition is New with tags. Dispatched with Royal Mail 2nd Class. girls salopettes age 12. Condition is Used. Dispatched with Royal Mail 2nd Class. Oneill kids skiing jacket and trousers, size 128. Condition is Used. Dispatched with Royal Mail Signed For® 2nd Class. Lovely set for girls. Good condition. Comes from a clean smoke free home. 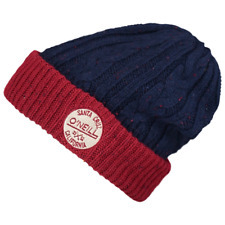 O'neill Salapettes mens. Condition is Used once a few years back size large. Dispatched with Royal Mail 2nd Class. 10,000mm Waterproof. Snowboard/Ski Jacket. Size: Small. Womens oneill ski jacket. Condition is Used. Dispatched with Royal Mail 2nd Class. A couple of marks on jacket as shown in photos otherwise a fab jacket, worn for 3 ski trips only. Size is large - 12-14. Excellent Condition. 2 Layer Shell. oneil ski trousers in excellent condition as only worn for 3 hours! Very soft! 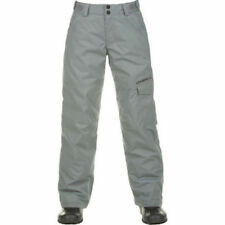 oneil ski trousers in excellent condition as only worn for 3 hours! Very soft!. Dispatched with Royal Mail 2nd Class. Jacket is in very good used condition. Pit to pit: 21". O'Neill Size 140cm Age 9 Ski Coat. Condition is good only small wear around the cuffs. This is a high quality ski coat, it has a snow skirt and built in gloves. The black Mark is where I have blanked my child's name. Please ask for further photos. I'm selling this women's Oneill snow trousers and separate jacket as well as the 5 pairs of socks and 2 Ski straps as my daughter has just come back from her trip to Andorra. All in great condition and was expensive to buy new, with no rips or tears and the socks are size 8-9 only wore once each day. The ski straps are new and never used. All washed and ready to go so thanks for looking and any questions answered ASAP, happy bidding. O Neill Coat Size M. Condition is Used. Dispatched with Royal Mail 1st Class. The Volta pants for boys by O'Neill have the style you want with the performance you need. The snow jacket features 8K waterproofing, 8K breathability, a 60/60 3M™ Thinsulate™ insulation and O'Neill's approved Firewall technology.